The long-awaited Car Number Classics is ready at last. After some four years of research, this definitive volume will be available in time for Christmas. 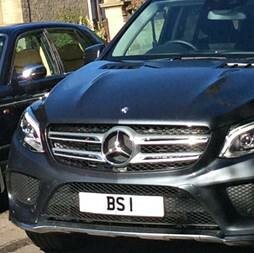 The book is full of information and illustrations on the subject of number plates in the United Kingdom. Starting at A 1, Part I contains detailed biographies of the original owners of the first eleven numbers (and sometimes beyond) issued by every authority in the United Kingdom as of 1st January 1904* and for which records have survived. 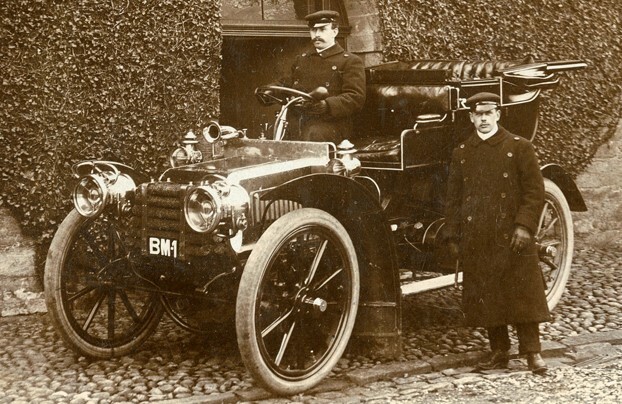 Wherever possible, photographs include a then and now element with the same number shown on its present car and on its original vehicle. 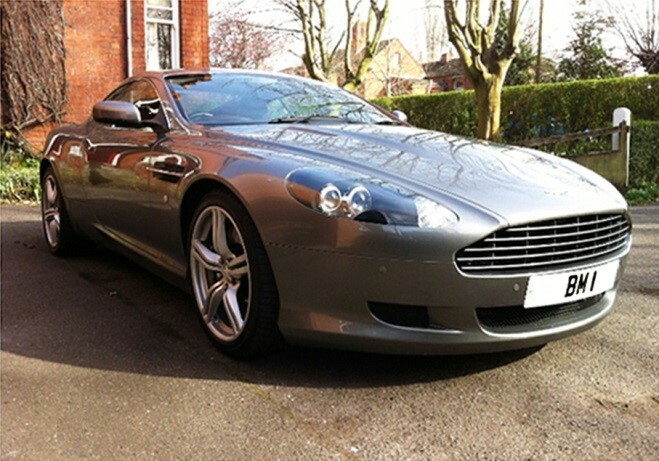 Alan Hickman had a fascination for electrics and mechanical transport. 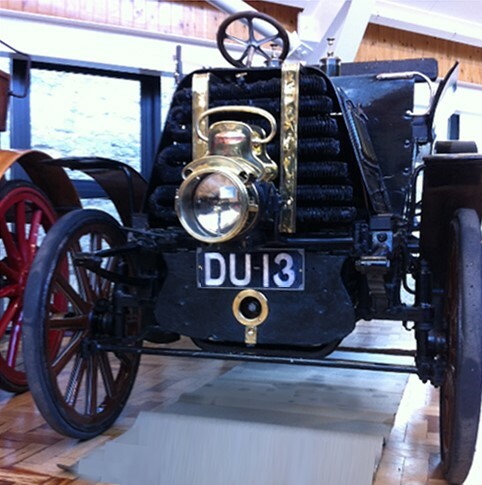 By the age of seventeen, he was working as an electrical engineer for a motor car company, and it is hardly surprising that he would have his own car at the time of compulsory registration. He does not seem to have been superstitious and was happy to have it registered DU 13. To say Alan was eccentric is an understatement. He became obsessed with trains and railways, and fell in love with France. He changed the name of the house to La France and on the 1911 census form, he described himself as British by Parentage but “French at Heart”. As far as his occupation went, he described himself as “Railway observer and automobile expert”. He secured a season ticket from Wolverhampton to Penzance via Paddington, and travelled all over the country on a daily basis wearing a peaked cap and mackintosh, and carrying a railwayman’s basket. He made a point of logging every journey. Alan finally ran out of steam in January 1931. The funeral arrangements were carried out by the Divisional Superintendent of the Great Western Railway, and the station master at Wolverhampton. The coffin was carried by two railway guards, two firemen and two ticket collectors. After the service, Alan’s body was taken by his favourite locomotive The Cornishman to the Key Hill Cemetery in Birmingham; the end of the line at last. His executor was William Sherbrooke who was well qualified for the job; he was (of course) a railway guard. 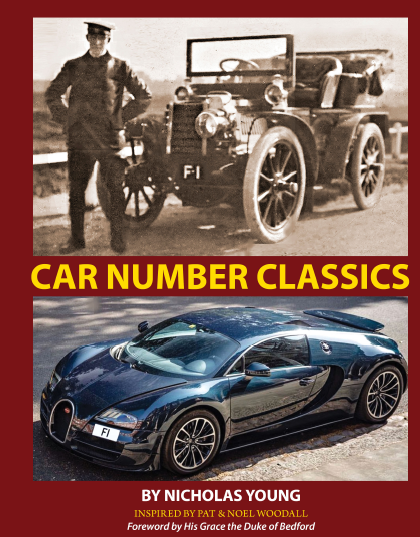 Part II of the same book brings us up to date and includes photographs of the unusual zero issues; diplomatic plates; many of the existing single and two-letter issues; some DVLA issues; as well as photographs from the Veteran Car Club’s London to Brighton Runs. 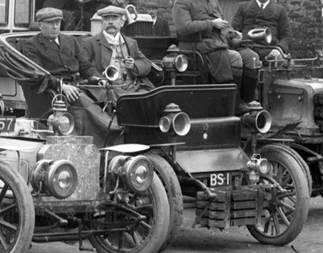 It also includes a brief history of the various registration systems used in the United Kingdom over the years, and the number of vehicles registered by each authority as at June 1904. Edward Ground B.A., M.D. 1, Ashford Road, Maidstone. Registered 30th November 1903 to a 7 H.P. New Orleans. Phaeton body with seat behind. Painted dark green colour. Weight unladen: 11 cwt. Intended use: private and business. 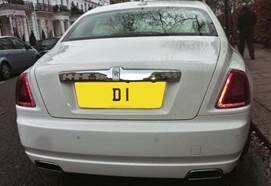 Present vehicle: 2012 Rolls-Royce Ghost in white. 6.592 cc. 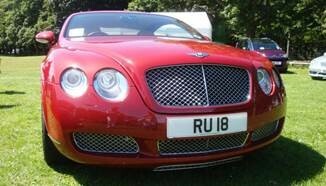 Owned by London Chauffeuring car hire. The book comprises over 1300 pages with full colour illustrations throughout (except the early 20th century images for obvious reasons!). But even if you have no particular interest in number plates, anyone with an interest in cars or social history will find this book difficult to put down. Dip in, as and when you have a few minutes to spare, or read it from cover to cover - either way, this could be the most entertaining book you have read this year. The book will be available from early November 2018 at £50 plus p&p £8.50. Cheques for £58.50 per copy should be made payable to Crawfords and posted to Crawfords, PO Box 56662 London W13 3BH. Please ensure you provide your name, address and contact telephone number in clear block capitals. Credit card orders can be taken by telephone by calling 020 8998 0007 as from 1st November. "What a book...more an encyclopaedia of incredible scope. 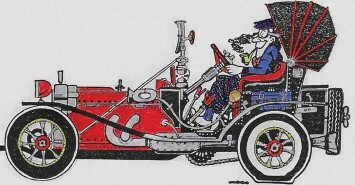 Each page I have looked at is a delight with its information or illustrations; you have produced a wonderful work that surely couldn't be bettered"
“I have just received your book - and am delighted with it - it is a very useful, informative and interesting reference work - I love social history associated with motoring - it is right up my street”. "It's great that you got this book together. I can't tell you how impressed I am. 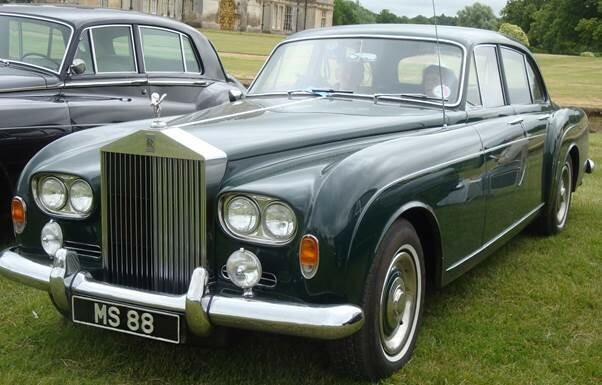 It's a great volume that not only chronicles some of the great number owner families, but also some beautiful heritage vehicles and one-offs along the way. It's quite obvious that you have invested a lot of personal time in producing this beautiful compendium." The work that has gone in to this is absolutely mind boggling ... the detail is astounding ... you have to be congratulated for seeing it through right to the end. May I wish you all the luck in the world as far as sales are concerned ... you certainly deserve it." "Super Book! Absolutely stunning. Lavishly illustrated, throughout, this is THE book to complete your collection. A little pricey yes but ‘wow’ what a book. It’s truly gargantuan in size and weight! I cannot emphasise how pleased I was, hours of reading. Please get this book!!" "I couldn't put the book down last night till about midnight ! Fascinating…"
I have started getting in to your book and I must say I think it is an incredible achievement. “I am thoroughly enjoying dipping into it, and will do so for years to come.